Bangkok Thailand Top 10 budget street food. What can be more exciting than to seek out the local simple cuisine of the country you are visiting to truly understand the culture and customs. It is no different when you visit colourful Thailand which is rich in many varieties of food from the four corners of the country and each offering a unique blend of spices and herbs in their dishes.Street food in Thailand is easy to find, rich in aroma and taste, cheap, and interesting to the taste buds. 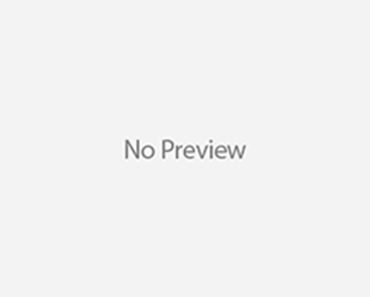 While there are many types of street food in Thailand, deciding what to try first or even attempting to order it might seem daunting if you do not know what it is, so to help you along, here is a list of the mostcommon street food in Thailand. The most famous Thai noodle, Pad Thai can be found at most street food vendors along the streets of Bangkok, at food courts and even night markets or small eating shops. Pad Thai is a quick fry thin rice noodle called “seh lek”. 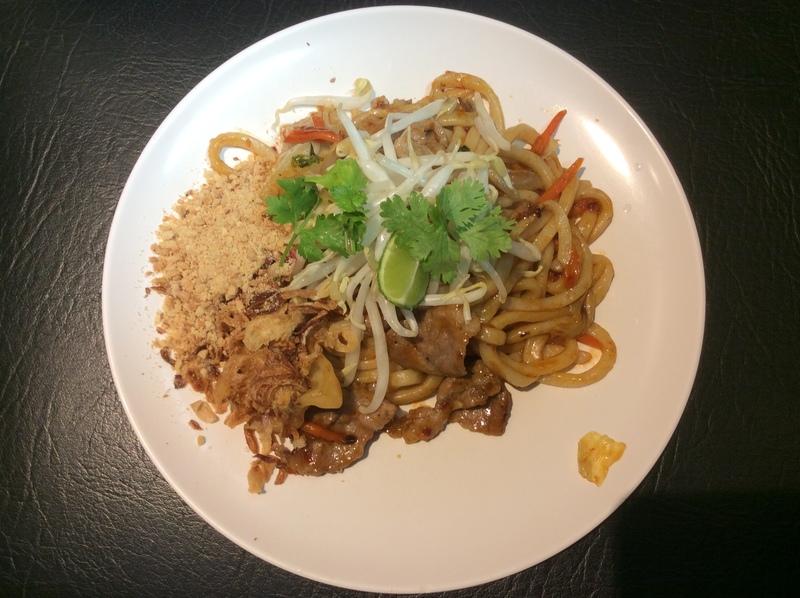 The noodle is fried with either prawns (kung), Seafood (talay), chicken (kai), or pork (moo) and served with bean sprouts, garlic sprouts, ground peanut, a slice of lime and sometimes young banana flower. The average cost for a plate of Pad Thai is THB35 along the streets. It taste a little sweet as are most Thai foodand you can flavor it to your desired taste with fish sauce, vinegar and sugar. 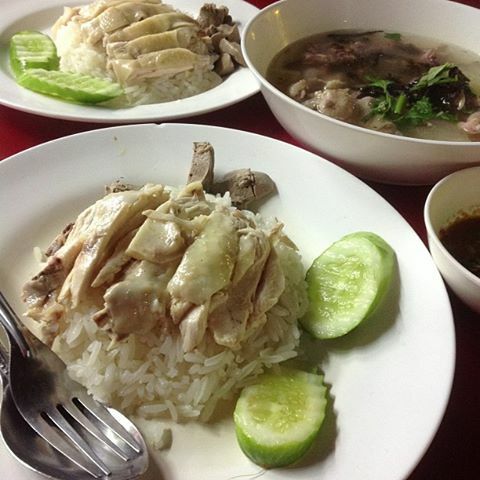 Som tum can be considered a Thai National Dish among the many national dishes. Som tum is a fresh salad of shredded green papayaand a variety of condiments. Two common street vendor condiments such as salted black crab (poo kem) and salted fresh sea crab (poo ma), but seafood (talay) and several other types which are mostly found only in food courts or restaurants. Som tum vendors are recognized by their display of long beans, limes, young green papayas and the familiar sound of the wooden mortar and pestle which goes “tok. tok’ tok”! 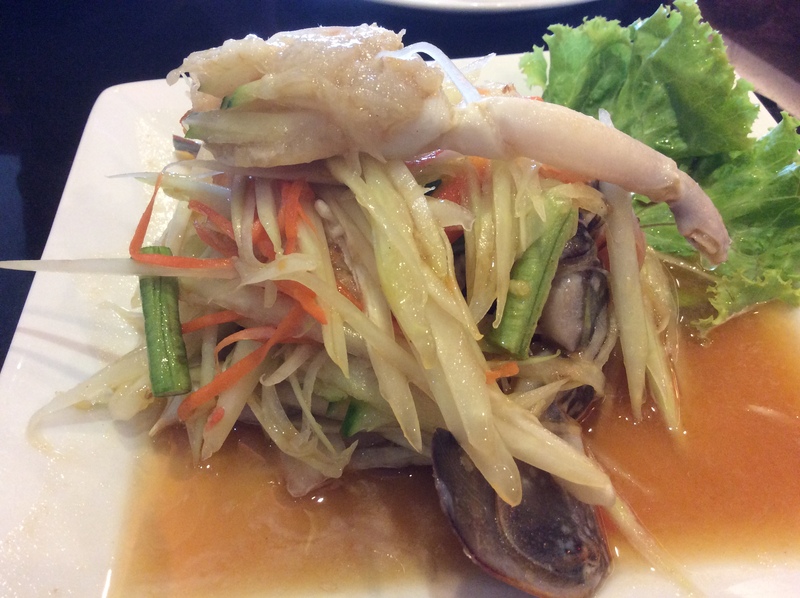 Som tum poo (the salted black crab) is the most popular. In the som tum dish are shredded young papaya, long beans, tomatoes, salted crab, lime juice, fish sauce, molasses, garlic and chilies which are blended in the wooden mortar with a pestle. If you do not want it to be too spicy then just say “phed nit noi” or if you do not want chili then it is “mai sai pik”. Som tum is eaten with a side of herbs such as basil and fresh cabbage and to make it a little more filling, you can add on Thai sticky rice (Khao niao). Total cost with the sticky rice is around THB35. 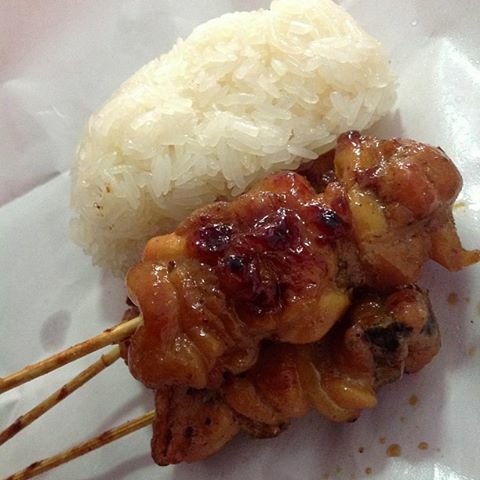 Some people also like to eat it with grilled pork (moo yang) or chicken (kai yang). You can find a Kai yang stall anywhere along the street and it is easily recognized by first the aromatic smell of the barbecued chicken before you even reach the stall! It is not uncommon for a Thai grilled chicken stall to also be grilling a variety of other meats such as pork ribs, chicken livers, chicken innards and even fish such as salted fish (pla khim) or grilled catfish (paduk). The chicken and chicken parts, cat fish and pork is first marinated with lemongrass, turmeric, molasses or honey, salt, pepper and pandanus leaves before being skewered with bamboo sticks or bamboo clamps and grilled over a charcoal fire. Grilled meat dishes normally accompany the som tum salad or eaten on its own with sticky rice and a chili dip. Average price for a piece of grilled drumstick and thigh is THB50 depending on your location. Tom yum is a spicy, sour and rich milk based broth that is used in seafood soup or soup for noodles. A noodle stall selling tom yum noodles is sometimes found along the street but mostly in a food court, floating market, night market or a noodle stall in a sidewalk street or where plenty of street food vendors are found. The stall will have bags of noodles, fish balls and pictures of the different types of noodles they serve. 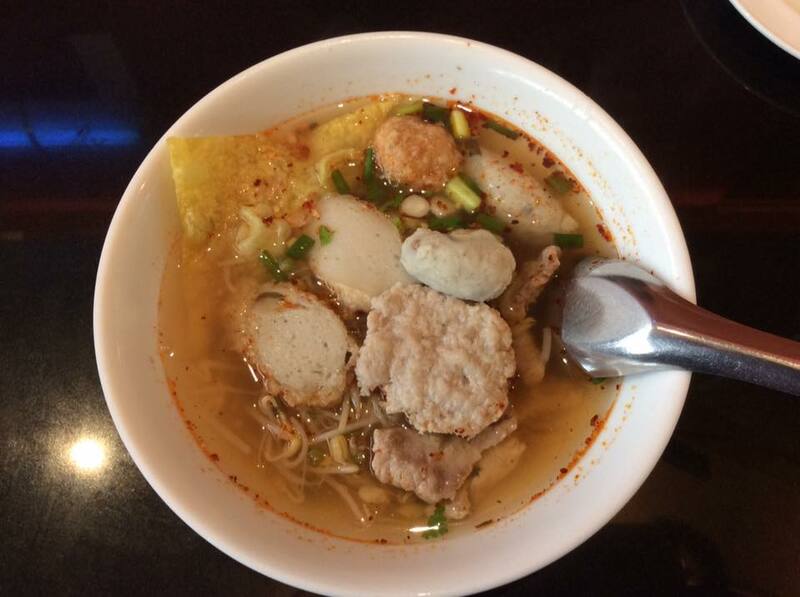 There are a few types of noodles that can be eaten with a tom yum soup such as rice vermicelli (sen mee), thin rice noodle (seh lek), thick rice noodle (seh yai) or egg noodle (bah mee). Toppings that go with the tom yum noodle include seafood (talay), chicken (kai), prawns (kung), fishball (lok chin pla) or mushrooms (hed). A bowl of Tom Yum noodles cost around THB40.